In this study, we investigated distinctions among the diversity of religious traditions represented by Lebanese and Egyptian Muslim high school students regarding their understanding and acceptance of biological evolution and how they relate the science to their religious beliefs. 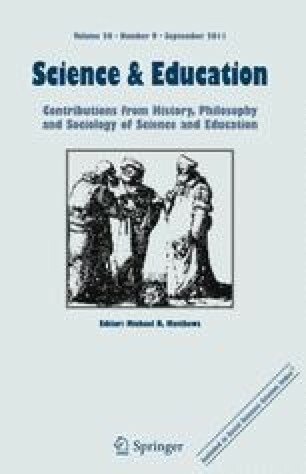 We explored secondary students’ conceptions of evolution among members of three Muslim sects—Sunni, Shiite, and Druze—in two cultural contexts; one in which the overwhelming majority of the population is Muslim (Egypt) and another in which there is a sizable Christian community (Lebanon). Data were collected via surveys that examined students’ scientific and religious understandings of evolution among 162 Egyptian students (all Sunni Muslims; 63% females and 37% males) and 629 Lebanese students (38.5% Sunni, 38% Shiite, and 23.5% Druze; 49% females and 51% males). Additional data were collected via semi-structured interviews with 30 Lebanese students to allow triangulation of data for accuracy and authenticity. Results indicate that many Egyptian and Lebanese Muslim students have misconceptions about evolution and the nature of science which often lead to rejection of evolution. Also, Lebanese Sunni and Shiite students and Egyptian Sunni students tend to exhibit high levels of religiosity, and these students report that their religious beliefs influence their positions regarding evolution. Finally, Sunni and Shiite Lebanese students have religious beliefs, conceptions of evolution, and positions regarding evolution similar to those of Sunni Egyptian students. These conceptions and positions, however, are substantially different from those of Druze Lebanese students. This study was funded by a grant from Social Sciences and Humanities Research Council (SSHRC) of Canada, and the Evolution Education Research Centre (EERC), McGill University, Canada. BouJaoude, S., Asghar, A., Wiles, J. R., Jaber, L., Sarieddine, D., & Alters, B. (2010). Biology professors’ and teachers’ positions regarding biological evolution and evolution education in a Middle Eastern Society. International Journal of Science Education. doi: 10.1080/09500693.2010.489124. Center for Educational Research and Development (CERD). (2008). Statistical bulletin. Retrieved August 10, 2010 from http://www.crdp.org/CRDP/Arabic/ar-statistics/STAT_AR/2007_2008/statistics20072008_Ar.htm. Central Intelligence Agency (CIA). (2010). The world factbook. Retrieved July 11, 2010 from https://www.cia.gov/library/publications/the-world-factbook/index.html. Council of Europe. (2007). The dangers of creationism in education. Parliamentary Assembly Document Number 11375. Retrieved September 1, 2009 from http://assembly.coe.int/main.asp?link=/documents/workingdocs/doc07/edoc11375.htm. Inter-Academy Panel. (2006). Inter-Academy Panel (IAP) statement on the teaching of evolution. Retrieved April 6, 2010, from http://www.interacademies.net/Object.File/Master/6/150/Evolution%20statement.pdf. Kjeilen, T. (2008). Egypt education. LookLex Encyclopaedia. Retrieved August 10, 2010, from http://looklex.com/e.o/egypt.education.htm. Omani Ministry of Education. (2008). Secondary education science curriculum. Retrieved July 17, 2010 from http://www.moe.gov.om/Portal/sitebuilder/Sites/EPS/Arabic/IPS/Right_Menu/Edu_System/edusystem/afterbasic.aspx. Pew Forum on Religion and Public Life. (2009). Mapping the global Muslim population: A report on the size and distribution of the world’s Muslim population. Washington, DC: Pew Research Center. Retrieved July 11, 2010 from http://pewforum.org/uploadedfiles/Topics/Demographics/Muslimpopulation.pdf. Saudi Ministry of Education. (2010). Secondary education development project: Secondary education curricula. Retrieved July 17, 2010 from http://www.hs.gov.sa/dimofinf/page.php?do=show&action=ahdaf.